The Super Bowl is coming up this Sunday – are you planning a big game day party? I’m not a fan of football but if a game day party means I get to load up on delicious appetizers…count me in! 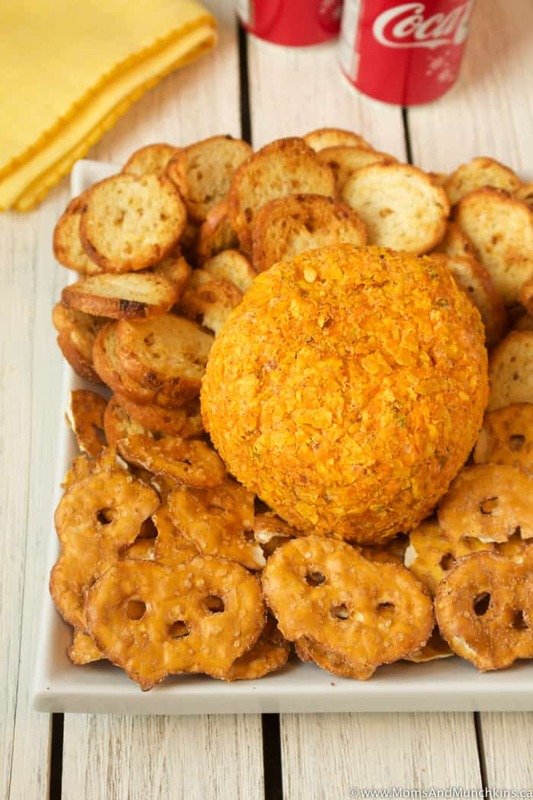 This Jalapeño Cheddar Cheese Ball is packed full of flavor and perfect for a party or your next family game night. This recipe takes just a few minutes to prepare but you’ll need to let it chill in the fridge for at least two hours before serving. If you make it in the morning, it will be ready to eat before the big game gets started. 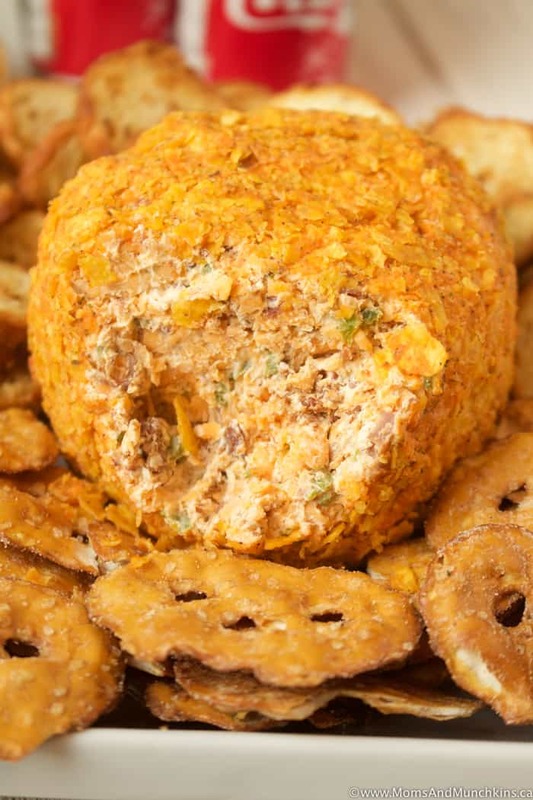 To make this a little spicier, use a spicier tortilla chip to coat the cheese ball in. I used Jalapeño Cheddar Doritos for this recipe. Crackers, baguette, pretzel crips, etc. 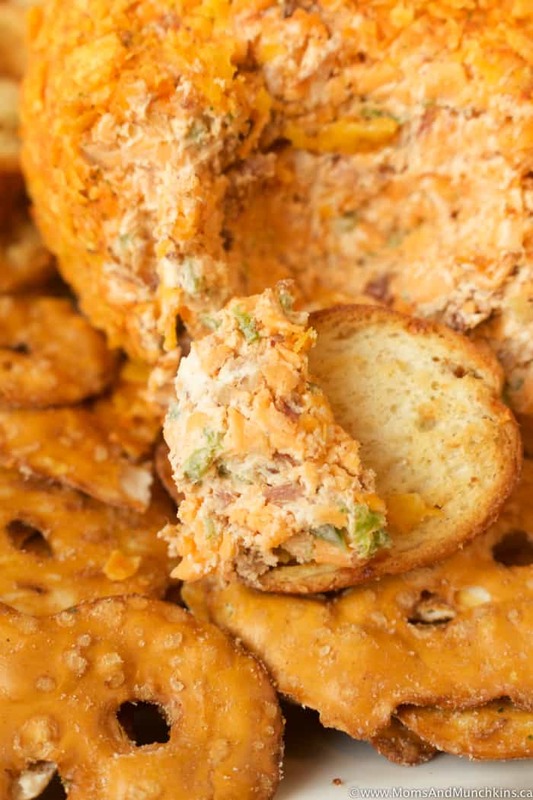 for spreading the cheese ball on. In a medium bowl, combine all ingredients (except tortilla chips) and stir well until thoroughly mixed. Form mixture into a ball and wrap tightly in clinging food wrap. Let chill in fridge for two hours. 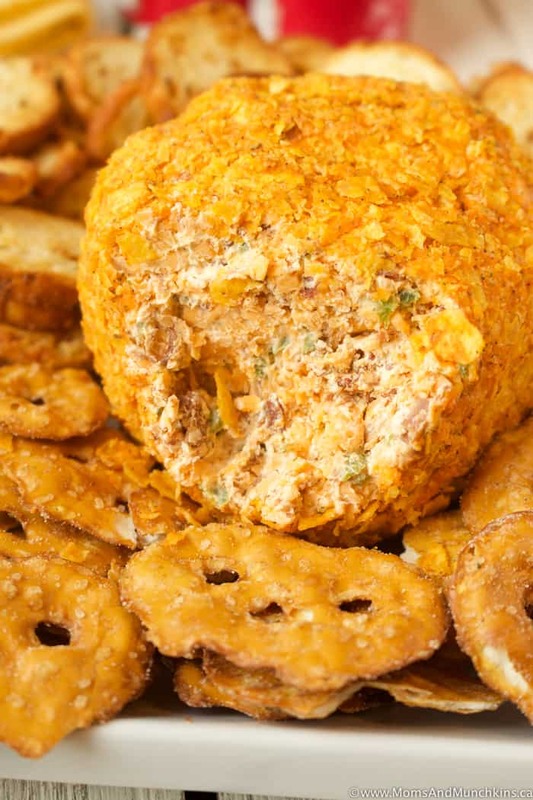 Remove from fridge and food wrap, then roll cheese ball in crushed tortilla chips. 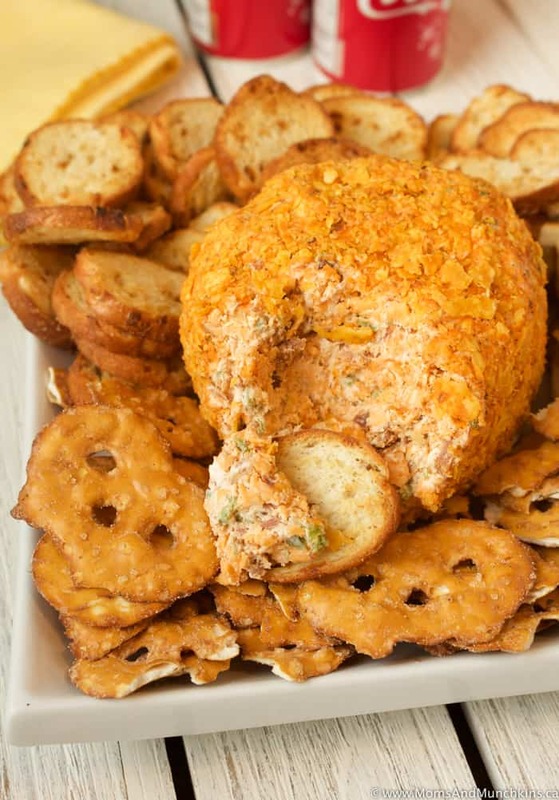 Serve with crackers, baguette or pretzel chips. Store leftovers in a sealable food storage bag in the fridge. 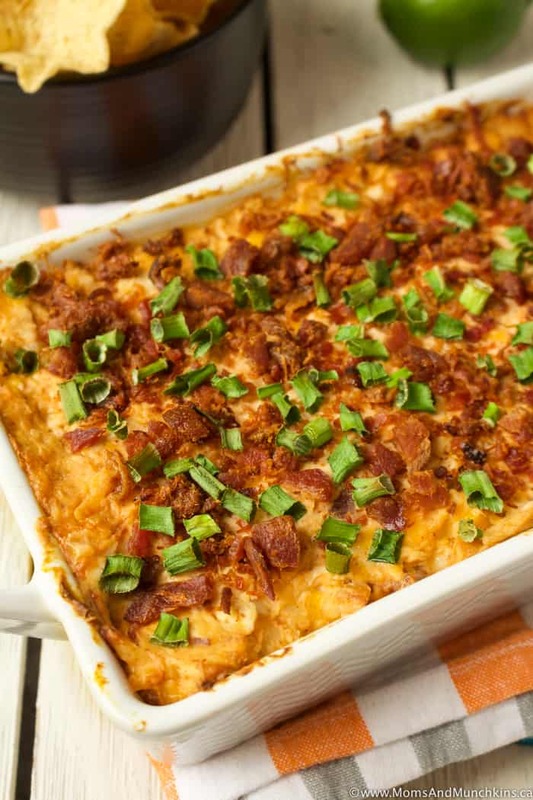 Hot Chicken Bacon Dip – you’ll start drooling once you smell this baking in the oven! 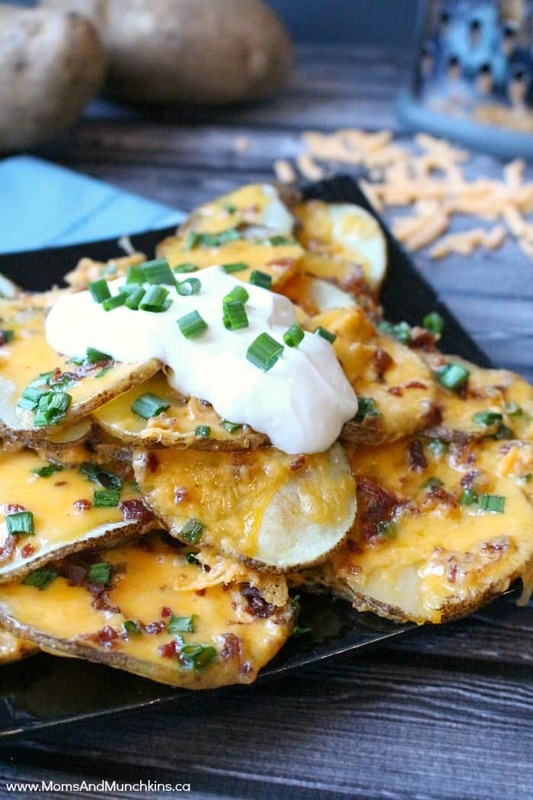 Loaded Baked Potato Nachos – so popular they even made a feature in Woman’s World magazine! You’ll find even more delicious ideas on our Recipes page. Stay updated on the latest by following us on Facebook, Twitter, Instagram and Pinterest.